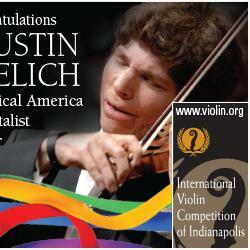 Congratulations to our good friend and Stradivari Society Recipient AUGUSTIN HADELICH on being named 2018 INSTRUMENTALIST OF THE YEAR by Musical America Worldwide! Augustin plays the magnificent “Kiesewetter” Stradivari of c. 1723 on loan to him through The Stradivari Society thanks to his generous patrons Clement and Karen Arrison. Click here to find out more.